Halloween is one of our family’s favorite times of the year! We love decorating our home, shopping for costumes, dressing up and the overall excitement of getting ready to go trick-or-treating. It’s amazing how quickly Halloween night goes by with 6 kids, so we need to feed our family with quick, easy and budget-friendly meal ideas, all while making good memories together. We recently headed to Walmart and picked up some of our favorite NESTLÉ® products to get ready for the big night. 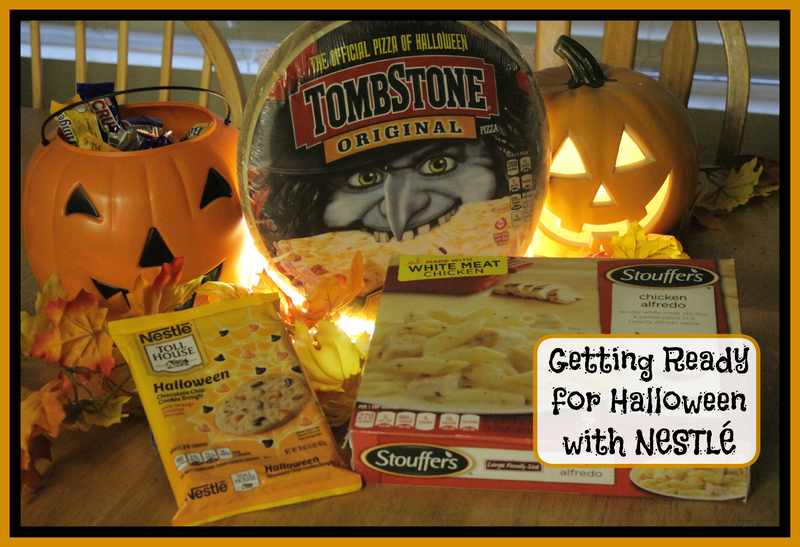 We found STOUFFER’S® Family Size Entrées (for dinner), TOLL HOUSE® Refrigerated Cookie Dough in the Halloween Chocolate Chip variety (for dessert), and NESTLÉ® Jumbo Assorted Fun Size Candy 58oz bag (for handing out candy and snacking on of course). 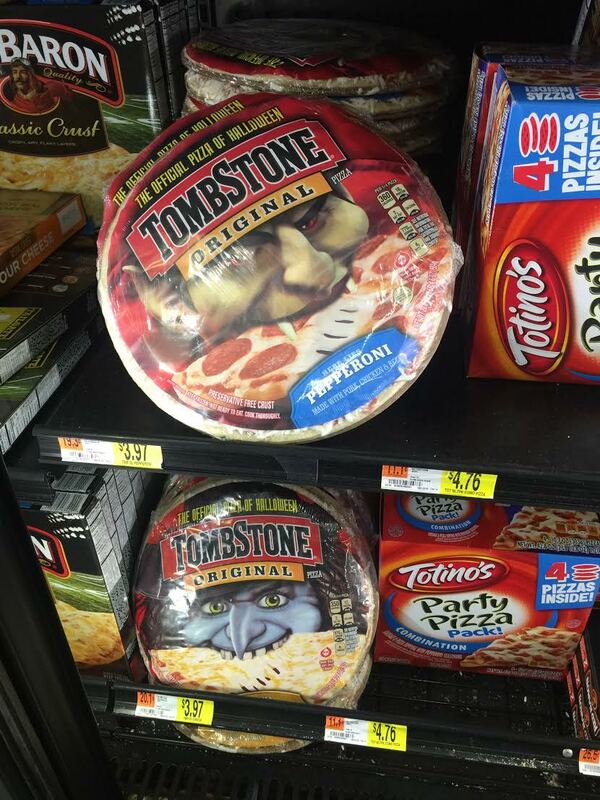 Since our kids love pizza, we also picked up some TOMBSTONE® pizzas. At Walmart, we found the STOUFFER’S® Family Size Entrées and TOMBSTONE® pizzas in the frozen section; the TOLL HOUSE® Refrigerated Cookie Dough in the refrigerator section (and you can also find them on the end caps in the refrigerator section); and the NESTLÉ® Jumbo Assorted Fun Size Candy 58oz bag in the Halloween and Seasonal aisle. On Halloween night, the first thing we do is put our meals in the oven. 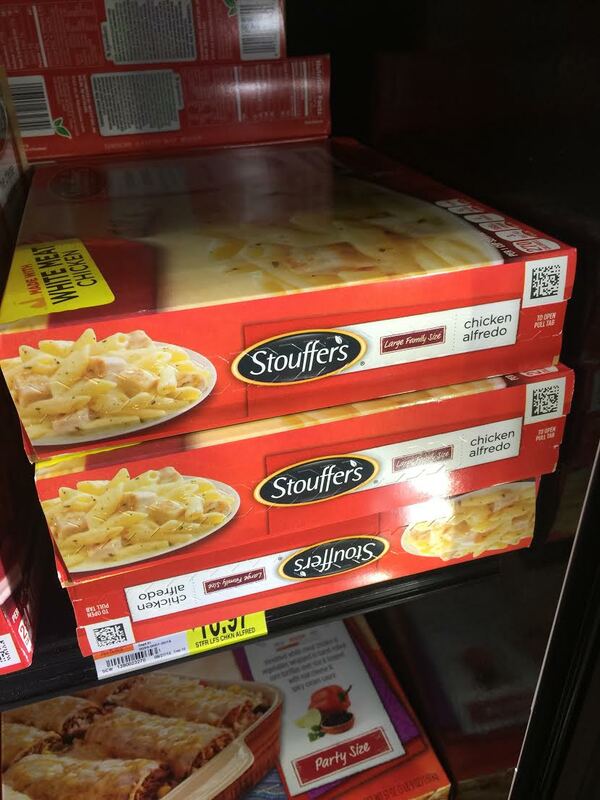 I like how easy it is to cook the the STOUFFER’S® Family Size Entrées and TOMBSTONE® pizzas! 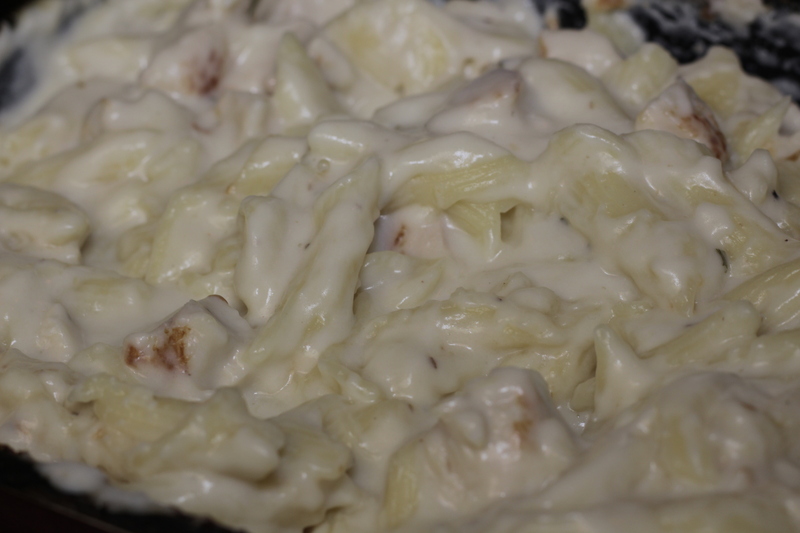 We cut a slit in the top of the STOUFFER’S® Family Size Entrées (we chose Chicken Alfredo) and then put it in the oven. We pull it out of the oven and pull back the plastic. 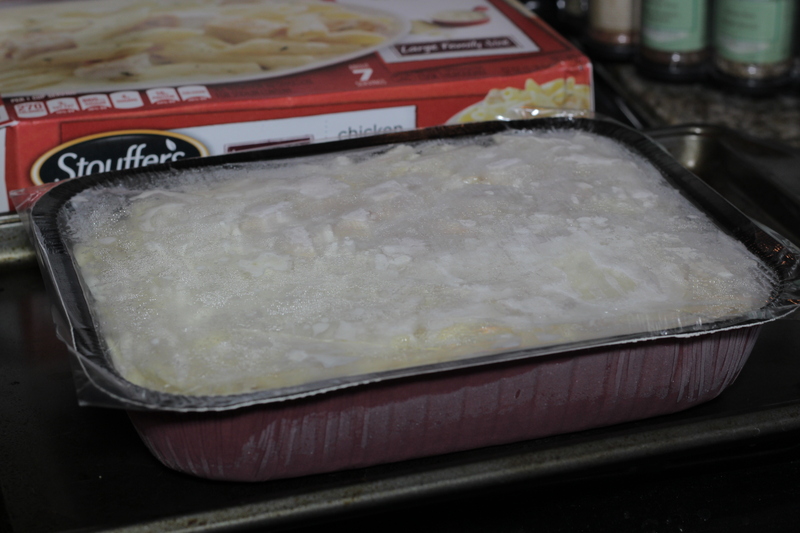 Then we mix it up, replace the cover and stick it back in the oven. For the pizzas, we unwrap them, put them on a pizza oven and stick them in the oven. It’s a great use of time because the dishes cook while we get the kids ready in their costumes. 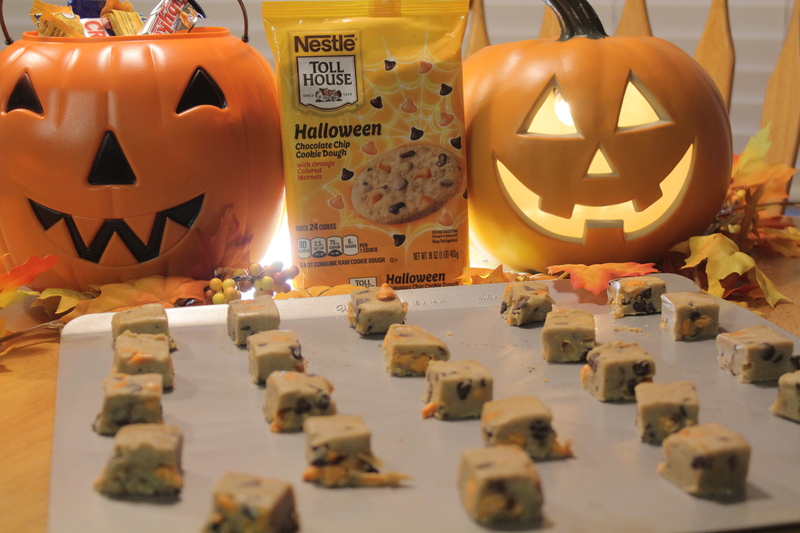 For dessert, we cook up some delicious TOLL HOUSE® Refrigerated Cookie Dough in the Halloween Chocolate Chip variety. Our kids love cookies, especially when they’re baked in the oven. The orange and black chocolate chips in the Halloween Chocolate Chip variety just make it that much more fun and festive! We love how easy they are to break apart, put on a cookie sheet and bake! Our family loves chocolate and almost always, you’ll find the bags of Halloween candy opened up with pieces missing. 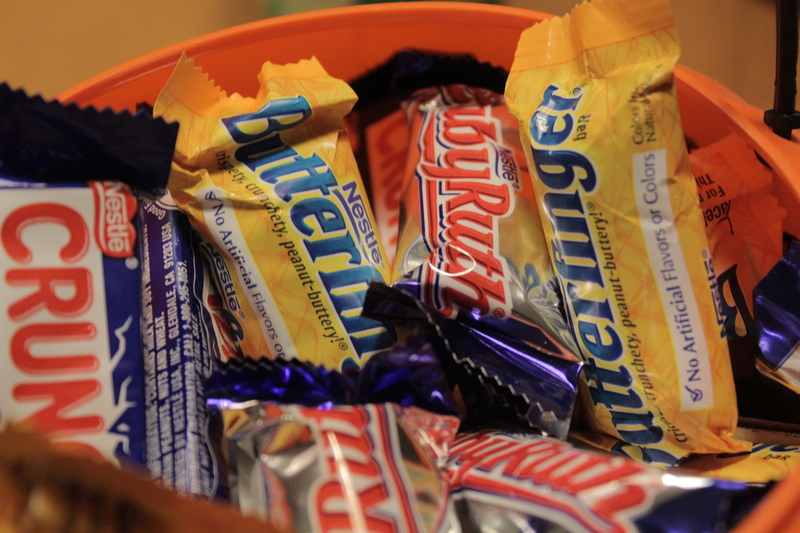 It was no surprise to find the NESTLÉ® Jumbo Assorted Fun Size Candy 58oz bag already missing some of the candy bars. On Halloween night, we put it in a plastic pumpkin and keep it by the door to hand out to trick-or-treaters. It’s fun to see and use the type of plastic pumpkin my wife and I use to have when we went trick-or-treating as kids. When our kids are dressed and ready, we like to talk about their costumes while eating and then take pictures (of course)! 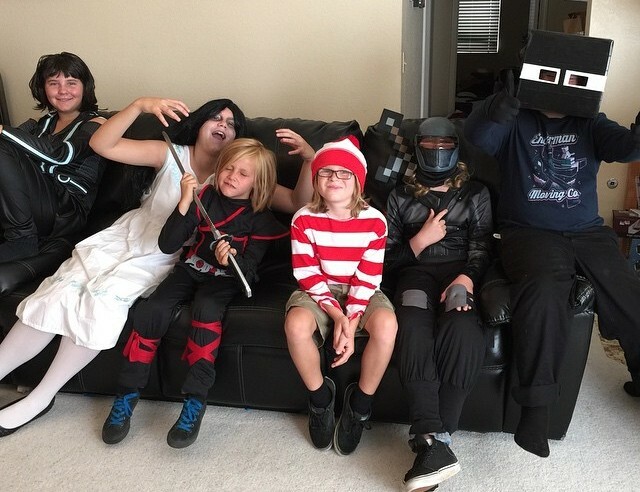 They love talking about their costumes and how excited they are to go trick-or-treating. Great memories are made at the table with our family on Halloween night! Halloween is almost here and we are ready! Are you ready for Halloween? 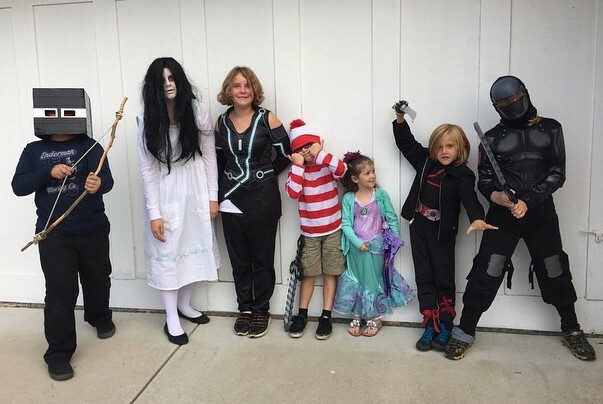 What family traditions do you have for Halloween? 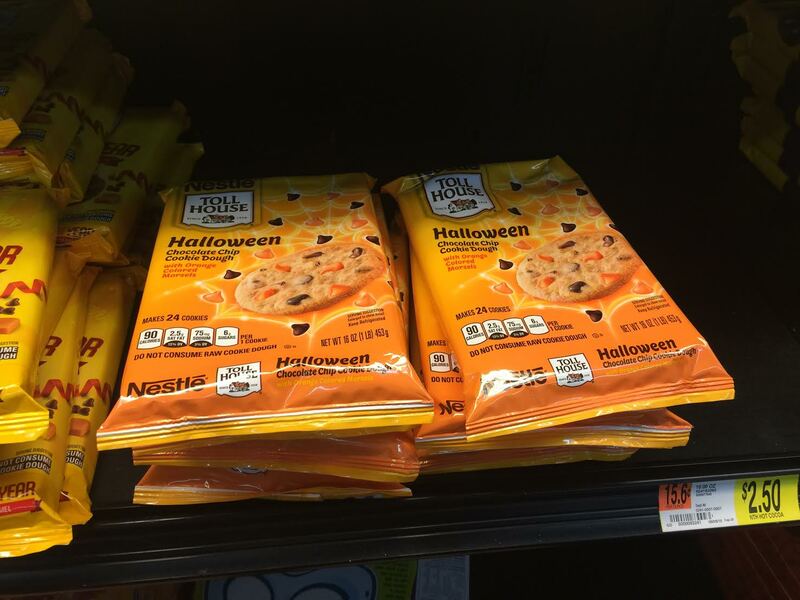 The Nestle Halloween cookies look delicious!! The candy is amazing, too! Nothing better than a Nestle Crunch Bar! Looks like a great time is planned. The food and snacks look good. We always go to dinner at our favorite Mexican restaurant after trick or treating. Great bunch of zombies and etc. Now I’m hungry. If I bought Nestles before Halloween, they’d never make it through Halloween, lol. I buy stuff I don’t like before Halloween. Then, on Halloween day, I buy the good stuff! I was not aware that Nestle products were so diverse. 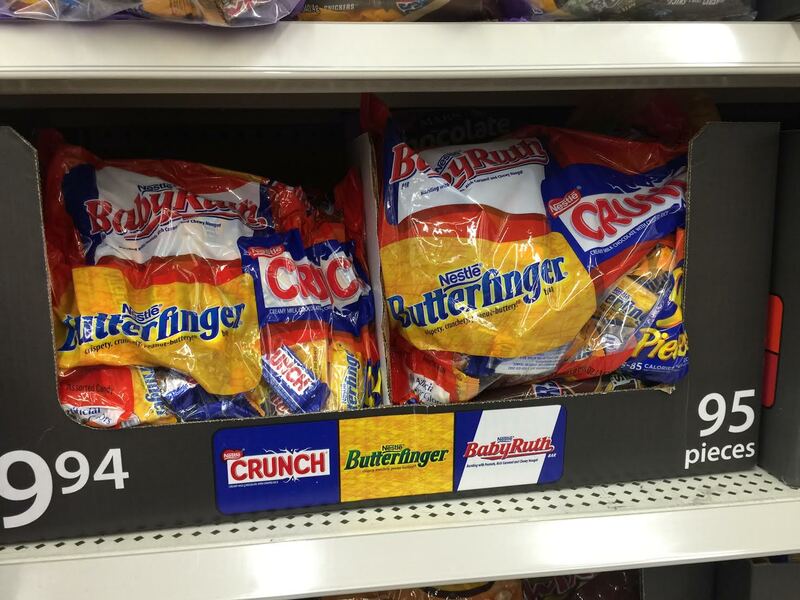 There are a lot of good choices of products to celebrate Halloween.